When building a house, one of the most important aspects to pay attention to is the roof. After all, this is the part of the house that keeps the residents safe from the elements. A roof is not only that, but it should be one of the best investments that one makes. The initial outlay when investing in a house is hefty. Therefore, it makes no sense at all that a homeowner should be required to spend more money in repairs, even before they’ve recovered from the initial investment. To avoid repairing a faulty roof, here are some of the things a homeowner should consider. A good, quality roof will set you back more than a few bucks, but it’ll go a long way. When you compare the price of buying new roofing and repairing the old, the cost is higher for the latter. Why, you may ask? Because on top of buying a brand new roof, the contractor would have to remove the old one in order to replace it. That means unnecessary extra labor charges. When making a long-term investment, go for a company that is reputable in the business. Again, this will cost more than the less reputable ones, but you are going for value. Therefore, the best deal you could get is a roofing company that assures you a good job with proper follow-up even after the job is done. After all, you are not only doing business together, you are entering into a new relationship. A good contractor will not only do your job, but also advise you on the best roofing material to use, based on location and budget. Without caring about the expenditure, the expert should be willing to offer his best advice based on his experience. Remember, this is their turf and they know all they need to about the roof that you’d need. When this information is available to you, you wouldn’t have to go into buying blindly. A roofing job should not end with the completion of the project. A good contractor keeps tabs on the customer and looks out for things that may be helpful to the homeowner. Should there be fault in the job done, and this is a normal occurrence, the two parties should be able to straighten it out without ruining the relationship. That way, the client will endorse them to future homeowners. Many companies will attest to the fact that the best business comes from referrals by satisfied customers. It’s free advertisement and the customer is assured of a good service from someone who’s head the experience. If it was unpleasant, the person to whom the service was provided will not be quick to refer the service provider. A roof is a huge investment. A good one could go for as high as $12,200. This is quite a lot of money; therefore, a guarantee should be given for a period of time. Within this period, the roofing company is to bear the cost of replacement or whatever may be required. With a guarantee in place, a consumer is comfortable spending this kind of money to secure the best roof they can. 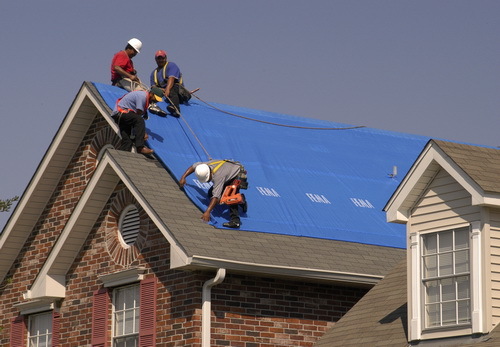 If the customer has a grace period within which they can have their roof repaired at no or minimal price, they are able to make allowances for bigger expenditure in the future.